As we studied last month all of the aberrant practices and false doctrine stem from an incorrect interpretation of the Scriptures. In fact, all errors in “Bible” based cults can be traced back to using a faulty hermeneutical system. Every Christian should understand and apply some basic hermeneutical principles when they study their Bible. Unfortunately most pastors do not equip their people with the skills necessary to become good Bereans. Sadly, many pastors across America have little or no theological training and thus they lack any real understanding of how to correctly teach the Bible of to their congregations (Joel Osteen, Creflo Dollar are just two examples) and we end up with a case of the blind leading the blind. Apart from incorrect biblical interpretations with all its attending problems there is another difficulty plaguing God’s people and that is the widespread practice of accepting personal spiritual experiences as authoritative. Millions of professing Christians readily accept the subjective “revelations” of various leaders, or their own private experiences as being as valid as the written Word of God. It seems that people have a propensity to be drawn away from the objective truth of God’s Word into their own fallen subjective experiences. Today we see this enthusiasm for experience over God’s Word vividly in the Charis matic movement. 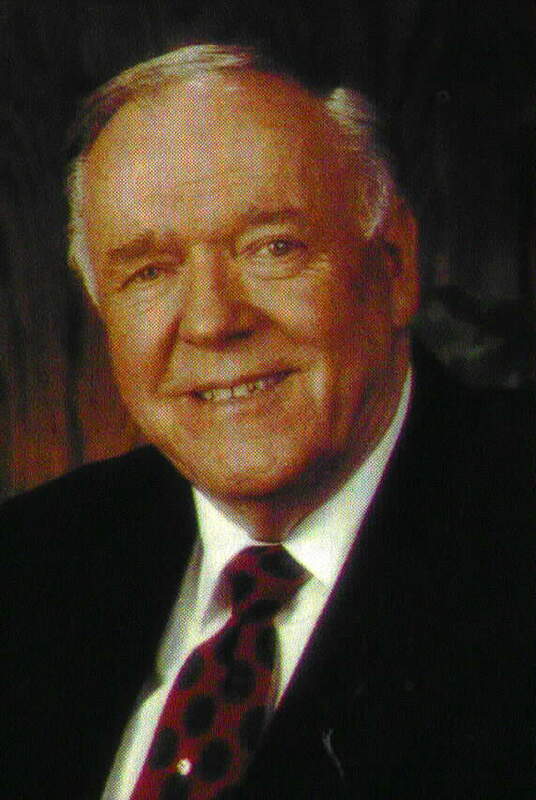 For example the recently departed Kenneth E. Hagin built a great portion of his SINistry on his alleged face-to-face encounters with our risen Lord. Many of these he wrote about in great detail in his book I believe In Visions. 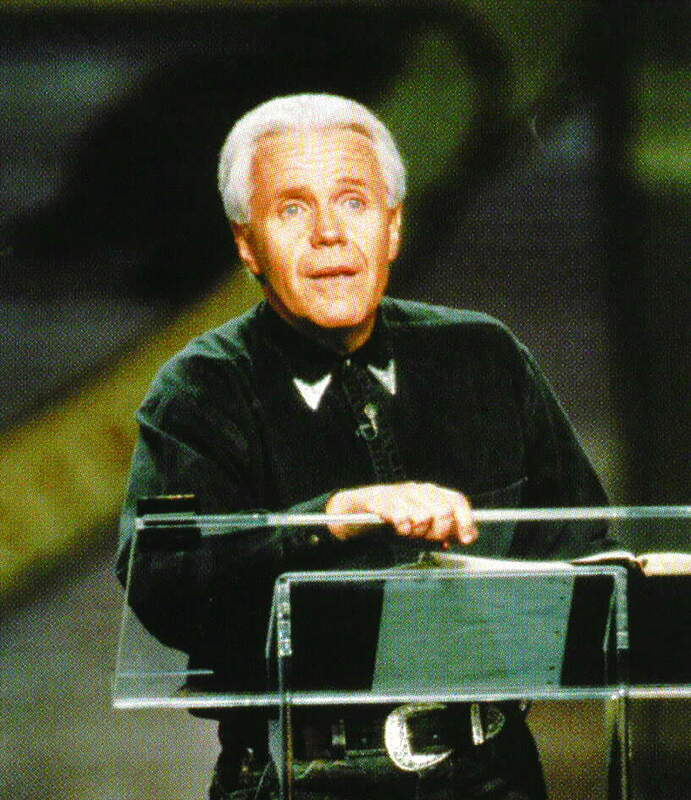 Another widely followed heretic, Jesse Duplantis expanded his influence tremendously after publishing his farcical tale about going to heaven in his book Heaven Close Encounters of the God Kind. Jesse regales his readers with not only a very detailed account of “heaven” but also shares about his visible experiences with angels, he and his car being teleported across the state of Louisiana and other bizarre experiences. Mary K. Baxter wrote a book which plunged her into charismatic fame & fortune about her being taken to hell on forty (40!) consecutive evenings allegedly by Jesus Christ. The Divine Revelation of Hell has been reprinted several times and in over ten languages. The book is filled with graphic details of what awaits the damned soul and Baxter claims thousands of people have come to faith in Christ due to her book! If that was not enough she went on to write another spurious tome entitled The Divine Revelation of Heaven and then another book called The Divine Revelation of Glory. 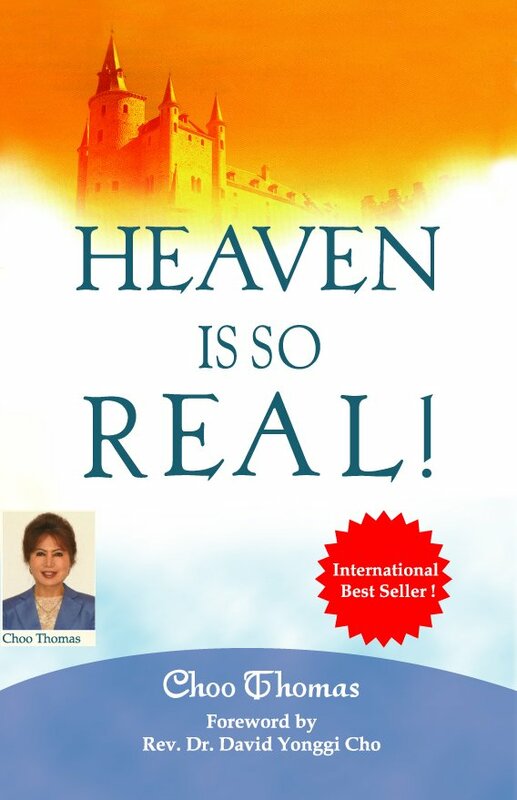 Discernment Ministries International was among the first Apologetic ministry to expose the nonsense in Cho Thomas’ book Heaven Is So Real about her rapturous transport to heaven. Thomas reveals to us that there is death in heaven when Jesus takes her fishing and kills the fish and cooks it for her. Every one of these books (and there are many more I could mention) has sold well over 100,000 copies each, and all of them are printed in foreign languages for wider consumption by the sign-seeking crowd (don’t forget there are videos, DVD’s, and cassettes of these accounts by authors for sale too). The authors go all over the world sharing their experiences with untold numbers of people. Virtually all commentators agree that Paul is writing about an experience he had being caught up to heaven. What is interesting about his account is that he does not share any of what he saw or heard. Why not? Today when someone says they were taken to heaven they create an entire “ministry” out of their experience. Paul did not relate any of his experience precisely because it was just that…his own “experience” and as such would not benefit others. What Paul head (and saw? ), human words were inadequate to relate (v.4b). Furthermore, he was not permitted to try to share the content of the revelation, perhaps because it had been designed for him alone, to fortify him for future service and sufferings (Ac 9:16; Ro 8:18). Glimpses the NT does give of the coming glory are intended to strengthen faith and promote holiness (cf. 2 Pe 3:10-14;p 1Jn 3:2-3) not satisfy curiosity. 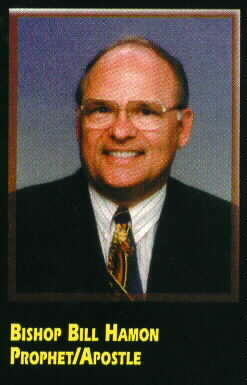 Nothing that Hagin, Duplantis, Cho or Baxter wrote about strengthens faith nor does it promote true holiness. What all those books do is to point to the human authors and imply that they are special vessels chosen for these last days to prepare the Church for the return of Christ. Nothing in their mythological writings do anything to encourage their readers to get into the Holy Bible and let God speak to them via its inerrant pages. The enthusiasts then as today looked within to feel something or to attempt to hear God speak to them directly and personally apart form the Holy Bible. This is exactly what is taking place on a massive scale within the charismatic movement. I’ve been involved in many meetings where the “Sp irit” began to move in a mighty way so much so that the Word of God was never preached. These meetings were declared to be of the highest order! Various people “prophesied” the so-called word of the Lord, others were slain in the spirit, some danced in the aisles, others just sat and watched the show. One well accepted restored-prophet, Bill Hamon carries with him a 5 inch 3 ring binder filled with 100’s of “personal” prophecies that have been uttered over his life for the last 40 years. Obviously he takes these extemporaneous words to be true or why collect & carry them? Yes God did speak through the prophets in the past. Yes God spoke in various ways, by dreams, visions and at times angels or through Theophanous. However, in these last days God has spoken to us through His Son, our Lord Jesus Christ. Peter knew of his impending death (2 Peter 1:13-15) so what he said was vitally important to him as a pastor. He reminds his readers that he was with Christ on the Mount of Transfiguration and he actually heard the voice of God speak. Yet what does he then tell the Church? Even though Peter was there in person to hear God’s voice he goes on to tell the Church that they have a more sure word of prophecy (the written Word) and they would do well to take heed to It a a light that shines in a dark place. Peter does not preach his experience but points to the Word of God and warns them to take heed of the Word. Why this emphasis Peter, what is the big deal? The problem today is that the “more sure word” is now deemed passé and there is a desire to seek what is termed “present day truth” (see 2 Peter 1:12) by the charismatic extremists. This is alleged truth that is arrived at through mystical or metaphysical means, i.e. subjective belief as opposed to the objective inerrant truth set out in the Bible. Folks Tenney’s comments are the voice of millions enmeshed in charismatic extremism. Note the very low view of holy scripture—the books of the Bible are “dusty rooms” that we shuffle through with the mistaken belief that God is still speaking to us through these biblical letters! Tenney echo’s the statements of many of today’s revivalists by saying there is not even a need to preach the Word of God if “God” shows up, i.e. some paranormal manifestations or unchecked emotionalism breaks forth. Lastly, Tenney says that the early church members communed with God on an intimate one-on-one basis APART from pouring over the “dusty old love letters” that were written long ago. What does my book of dusty old love letters say in response to Mr. Tenney and the other heretics? 2. Tommy Tenney, The God Chasers, (Shippensburg: Destiny Image, 1998) p. 31. 4. Bid. p. 74 Underlining and bolding added for emphasis. Maybe Paul should not have publicly rebuked Peter for playing the hypocrite before the Jewish believers (read Gal 2:11). Perhaps he should not have dared to “name names” in some of his epistles (read 2 Tim 4:14). Obviously Paul was emotionally overwrought and an alarmist when he told the Ephesian elders warning them night and day for three years with tears about the wolves from without and the danger of false brethren from within (see Acts 20:27:31). What if Martin Luther seeing Tetzel selling salvation and said “wow, what a shame, but what can one person do against an entire religious system? And walked away thinking “ the Lord will settle the matter”? Where would we be today? My dear brothers and sisters it is costly to take a stand for God’s Word in a world that grows spiritually darker by the minute. It is even more difficult to stand up for righteousness within the Church that drifts further from the secure anchor of their souls, the Word and sacraments. We are fast coming to a time when the cry again is being sounded ‘who is on the Lord’s side?” (read Luke 11:23), which is it in your life and mine? To follow the Lamb is to be in the minority, it is to carry the cross outside the camp (read Hebrews 13:13); suffer humiliation and be considered a fool for forsaking all the “goodies” YOU COULD HAVE HAD, YET DID NOT FOR His names sake. To be a disciple means to take a stand for God’s truth regardless of what it may cost you in family, friends, or societal position. It means not being popular or in with the in crowd. Like Abraham, we are pilgrims in this world, yes in it, but not of it…at least that is the way it is supposed to be. Is this true in your life and mine? Or have we become bewitched with the baubles and glitter of a system decaying before our very eyes? Judas sold Jesus out for 30 pieces of silver, today too many sell Him far more cheaply I fear. I wish I could write you and say “hey folks, its ok,” but I’d be lying. It is not “ok” not by a long shot. The Church is under attack just as Paul warned almost 2,000 years ago. False apostles, prophets and teachers make merchandise of the sheep and if anyone dares to raise their voice against them they are engulfed with cries of “you’re accusing the brethren; you’re causing division; who died and made you judge?” Evil prevails when good men keep silent and I for one refuse to keep silent and allow evil to prevail in my generation. Often Apologists are called “accusers of the brethren” by our detractor’s. Yet it is Satan who falsely accuses the brethren before God. We in the Church are called to judge those within the Church (1 Cor. 6:3). We are called to exhort (Titus 1:9) and rebuke with all authority (2 Tim. 4:2) when we see people departing from the standards of God’s holy Word. In fact, for Christians not to serve as watchmen on the wall would be a dereliction of duty. 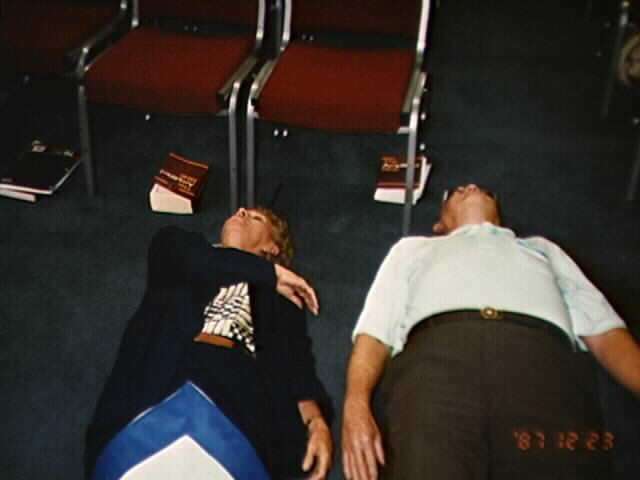 Discernment Ministries International is one voice that God has raised up to stand as a watchman on the wall and shout out a warning to the Body of Christ saying “test the spirits to see if they are of God.” We are in the minority within a sleeping Church, one that we are striving to rouse from its slumber. DMI and others are swimming hard upstream against every wind of doctrine which so many lovingly are bodysurfing downstream on. However, DMI cannot do the work alone I am sending out this appeal with the hope that God still has a legitimate remnant of people who are spiritually dissatisfied with the current religious status quo. That there are a people whose righteous indignation has been stirred up by the Holy Spirit to the degree where they will faithfully support a ministry that dares to say “the Emperor has no clothes on” regardless of the cost. I had recently received a counseling phone call from a sister who had come out of an abusive charismatic congregation and was now ensconced in a Missouri Synod Lutheran Church. Her issues concerned spiritual stability and in talking with her it occurred to me that if she was established doctrinally in five simple “Reformed” truths then most of her questions and issues would be solved (if she remains in her MSLC hopefully her pastor will instill these same truths into her life). The bedrock of any spiritual life that is truly built on Jesus Christ can be summed up in these profoundly simple doctrines. In fact, I am so convinced that unless one has the truths we shall be considering in the next several issues, imbedded in their hearts they will be ineffective and unfruitful in God’s Kingdom. People who lack these essential truths will be stunted spiritually and remain infants who are prone to be tossed to and fro and carried about by every wind of false doctrine that cunning and crafty men (and women) promote. The Apostle Paul warns of this danger in Ephesians 4:14. These 5 Evangelical truths heralded after years of spiritual darkness in the Church initially by Martin Luther simply, yet profoundly mean that the Christian is SAVED by GRACE ALONE through FAITH ALONE, by CHRIST ALONE, according to the SCRIPTURES ALONE, and to GOD ALONE be ALL the GLORY. Prior to the Reformation, the Roman Catholic Church emphasized grace, but not grace alone. Roman Catholicism and other religious sects teach that grace requires human cooperation and effort if one is to be saved. Luther, Melancthon and later Calvin, Knox and other reformers taught and rightly so that biblically, salvation is modernistic, which simply means that a thing has only one cause. In this case Jesus Christ alone is both the Author and Finisher of our Faith as Hebrews 12:2 teaches us. We’ve already covered the reality of total depravity in a prior issue, so I will not deal with it now. As a reminder let me state that this does not mean that mankind is as bad as he can be, but it does mean that humanity is as bad off as it can be. The example of Lazarus clearly demonstrates the doctrine of sola gratia. There are a great many lessons in this miracle. What I want us to focus on is this simple fact: Lazarus was dead. He could do NOTHING to help in his resurrection—that was the work of God the Son, the Living Word—Spoke to the dead man and He commanded Lazarus to come forth and he who was dead became alive. 2. We willingly walked according to this fallen world’s dictates and it’s Dictator the devil. 3. We were all by nature children of wrath and thus rightfully subject to the judgment of a Holy and Righteous God. If left to ourselves we were all headed for eternal damnation, and deservedly so. Yet after painting so plainly a picture of depraved humanity when left to its own devices, Paul switches gears and by the INSPIRATION of the Holy Spirit pens 2 of the most BEAUTIFUL WORDS in the entire Bible — “But God”. Paul goes on to give the clearest picture of sola gratia in the New Testament. Those 8 words should bring every Christian to their knees in thankful humility to God because of His undeserved mercy towards us in Christ. Salvation is the work of God from start to finish. If you are saved at all it is because God saved you through faith in the work of His Son — even the faith to believe the Gospel does not come from yourselves—it is the gift of God. Salvation is not of works, lest ANY man should boast. It cannot be made any clearer, yet multitudes of professing Christians wrongly believe that they made “a decision for Christ.” Many Protestant’s teach that unless we “decide,” or unless we “choose,” or unless we “accept Jesus as our Personal Savior” then God’s grace is useless. To teach such a thing is a damnable lie. To argue that grace is of no avail to us unless “we do” something first, is to deny SOLA GRATIA ALTOGETHER. To believe in such a manner is to rob God of His Glory.